A capital market is basically a place where securities such as bonds, shares and stocks are purchased and sold in order to create equity. Let’s divide the terms into capital and market. Capital is money, which every firm needs in order to establish itself. In order for a person to create a company, he would need to invest money to buy products, pay employees, registration fees, etc. This is basically the capital. Now a market or a market place is a place where things are bought or sold for a price. Now, this could be a physical market such as the flee market, fruit market, etc. or it could be a virtual market such as ecommerce, or stock market. So in a capital market, money is raised by allowing other people to purchase shares, stocks or bonds (financial securities) of the firm. 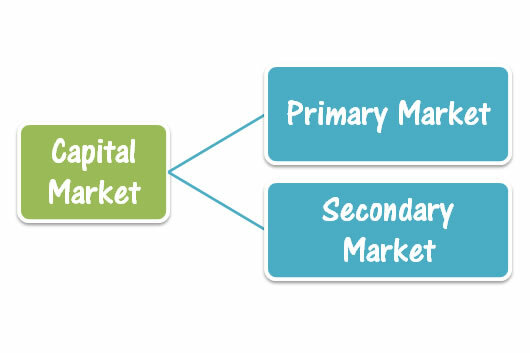 There are two types of capital markets: primary markets and secondary markets. Primary markets are where the securities are issued and sold for the first time. It deals with new securities and is usually done through an investment bank or finance syndicate of securities dealers. Secondary markets are where securities previously issued are purchased and resold. This is where the actual trading happens, where securities are bought and sold by investors and trading firms. Although, originally the market referred to the original place where the securities were purchased and sold in person, but with technology seeping into all aspects of life capital market has also shifted online. Now, underwriting and trading happens online via designated software.